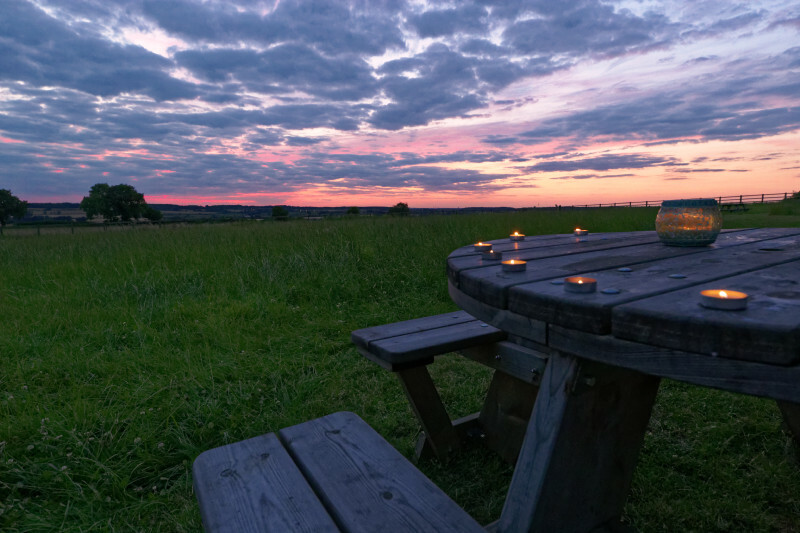 Forget lashings of ginger beer, enjoy stunning sunsets and breath-taking countryside views at the Muddy Award-winning Hilltop Hideaways near Leamington Spa. As children, my parents would take us camping to virtually the same camp-site every year – Shell Island near Harlech, overlooking the Snowdon range and Cardigan Bay. And we absolutely loved it, hardened campers that we were! Camping; the very word usually fills Mr Muddy with utter dread. But he took the plunge two summers ago, and we actually bought a cheap tent. On our first outing to the Gower my son’s tent flooded at 3am the first night. Last summer when we pitched up in the Peaks we were nearly washed and blown away in flash floods. So, would glamping help to restore our faith in camping? I must admit, the newly-established Hilltop Hideaways, based on a family-run working farm, a few miles from Leamington Spa, lured us in with the promise that their glamping cabins, shepherd’s hut and safari bell tents come with comfy beds, cosy feather duvets and some of the finest views in Warwickshire. Sleep under the stars in absolute luxury, it says. This was it. 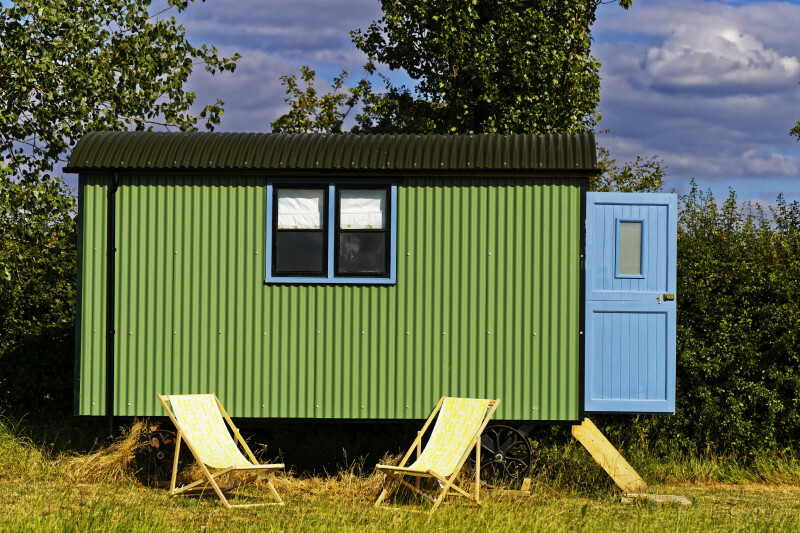 Our bespoke home-from-home – a gorgeous green and pastel blue shepherd’s hut. Straight after school and Brownies, all five of us flung our bags into the Galaxy. 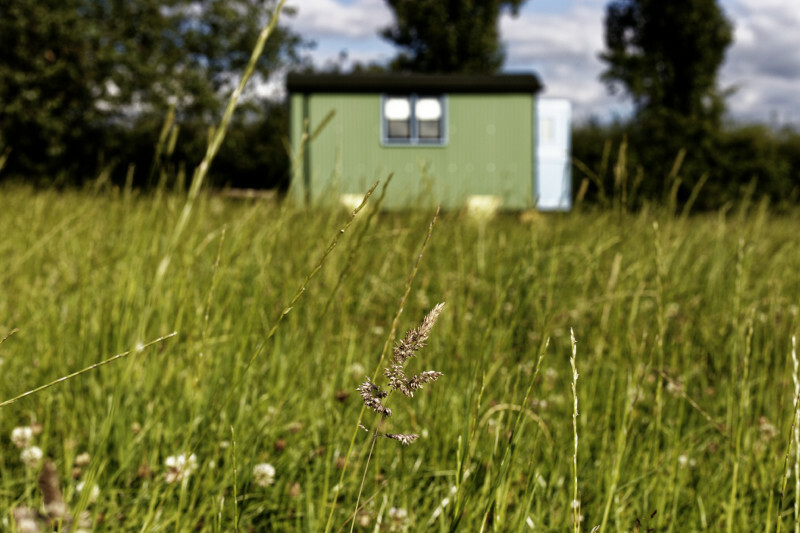 We were very excited to be going mid-week glamping in our very own hilltop hideaway in the rolling Warwickshire hills – before the summer holidays had even begun! 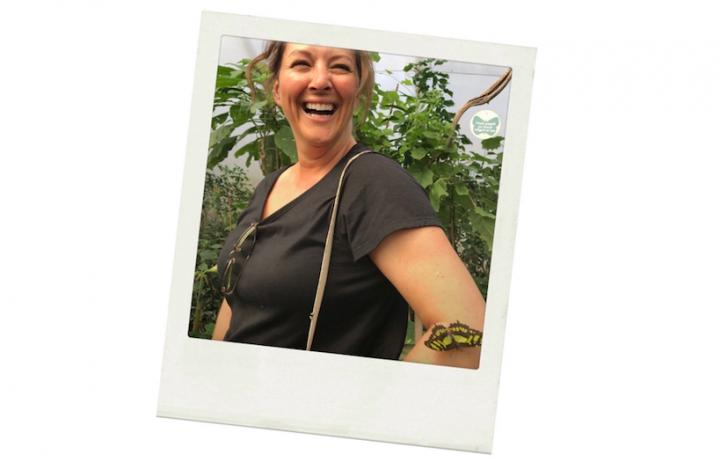 The great thing is how little you need to pack – just the kind of stuff that you would normally take away on a holiday, except perhaps with the addition of a torch, a few extra layers, and picnic-y plates and cutlery, a few snacks and drinks. Forget lashings of ginger beer, if you’re a complete gadget-geek like Mr M, you’ll also pack a Sound Bar to play tunes from your mobile, everyone’s chargers and a battery pack. If you need an early morning brew or coffee to wake you up, maybe a travel kettle and cereal for early risers would also come in handy! Driving along the Fosse Way, Hilltop Farm is well-signposted and we turn off onto the single-track drive. There’s fields full of crops either side and you do get that middle-of-nowhere feeling. It’s very peaceful. 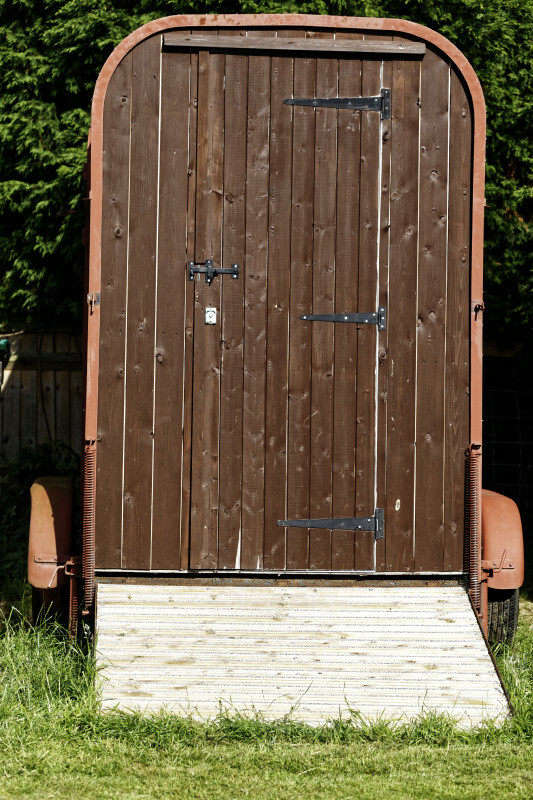 Close to the site, there’s a private car park for glampers, next to an immaculate block of camping loos with hand soap and clean towels. 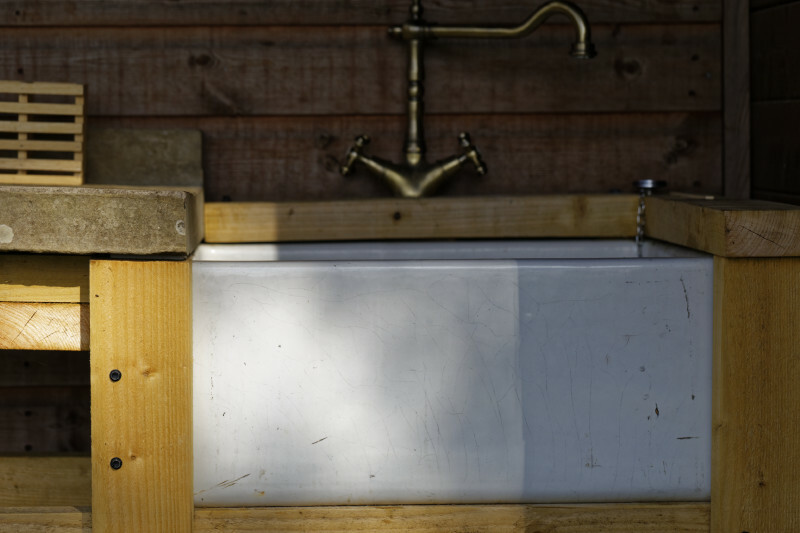 Ingeniously, showers are in cleverly converted horse-boxes. 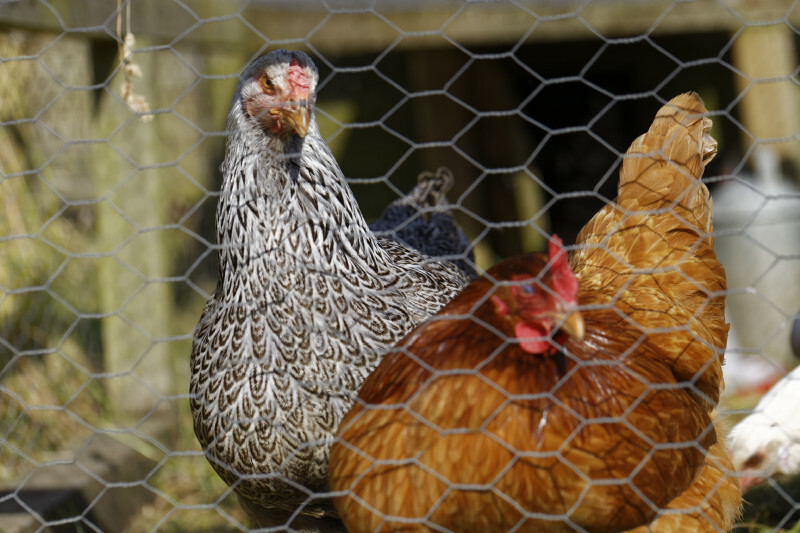 A clutch of chickens strolled out of their coop to say hello. We were greeted by the lovely Lotte – and Dotty, her very cute tiny dog – who as well as running Hilltop Hideaways and events at the family farm (weddings, gin festivals etc), commutes to London where she works for Innocent Drinks, part of the week. She and a friend over from London were heading over through the fields to a the very pretty revamped village pub 5 minutes away, The Red Lion in Hunningham. It has a picturesque riverside garden, the perfect spot for a summer drink. (Although we brought our own vino & soft drinks). 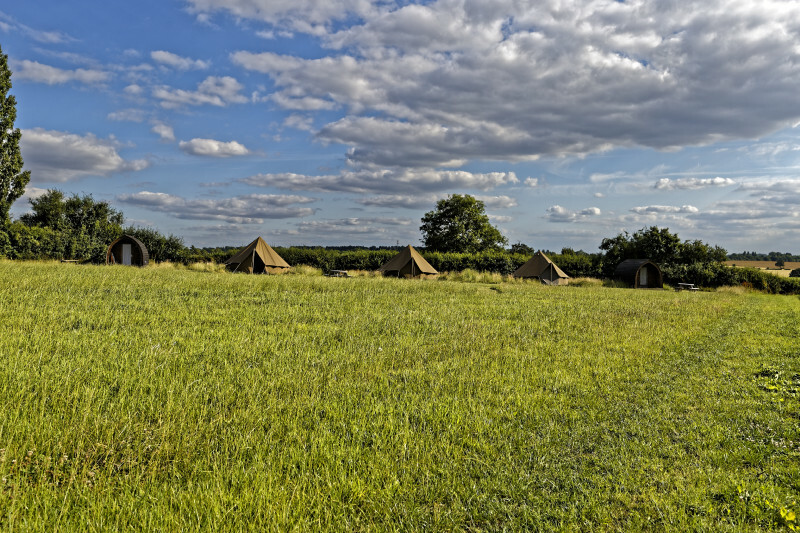 The camping area is beautifully kept with one Shepherd’s Hut, three British hand-made wooden cabins and four bell-tent around the perimeter of the glamping field, so there’s lots of space to enjoy. You’re surrounded by fields in all directions on this idyllic third-generation farm and breath-taking panoramic views. The Ellis family can tell you the best walks and also offer farm tours. Then came a complete and utter Muddy first and it couldn’t have come at a more perfect time. The weather forecast had taken a turn for the better, we had the most amazing sunshine and a stunning sunset. 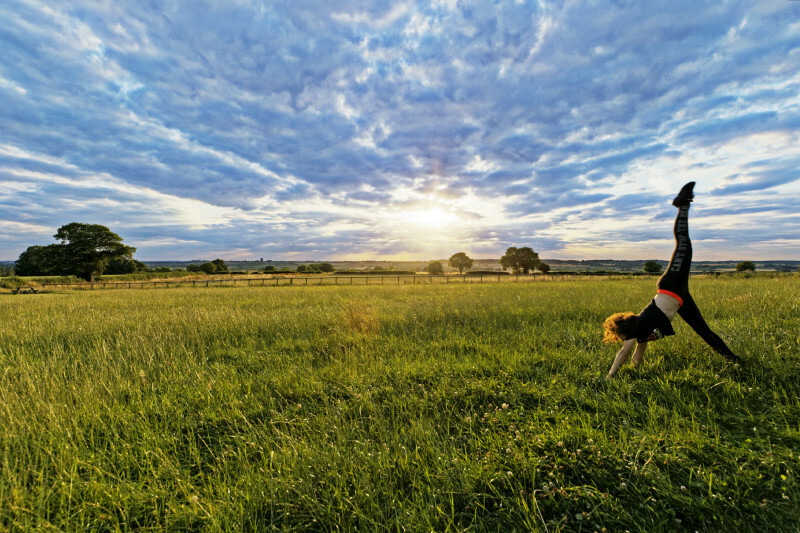 It was great to see the kids off their gadgets and running free through the fields, cartwheeling and playing games. We brought a badminton set, and reality check my 13-year-old’s French homework. It was school the next day. There was just one other couple, with two small children, in a bell tent who were stopping off on their way back home to Scotland after a large family gathering. There’s no need to bring for food per se as there’s a well-stocked farm shop with lots of local produce and essentials, daily bakery deliveries, and butchers, as well as a cafe open from 9am and now open on Friday and Saturday evenings. A new summer menu is available and a lively entertainment programme ranging from an annual Beer & Cider Festival in the marquee to Pizza & Live Music and Hilltop Farm’s Little Gin Festival on August 11 with a gin inspired menu and live music. After a spectacular sunset we enjoyed a glass of Prosecco under the stars. So, to the rest of this lovely well-thought-out site. 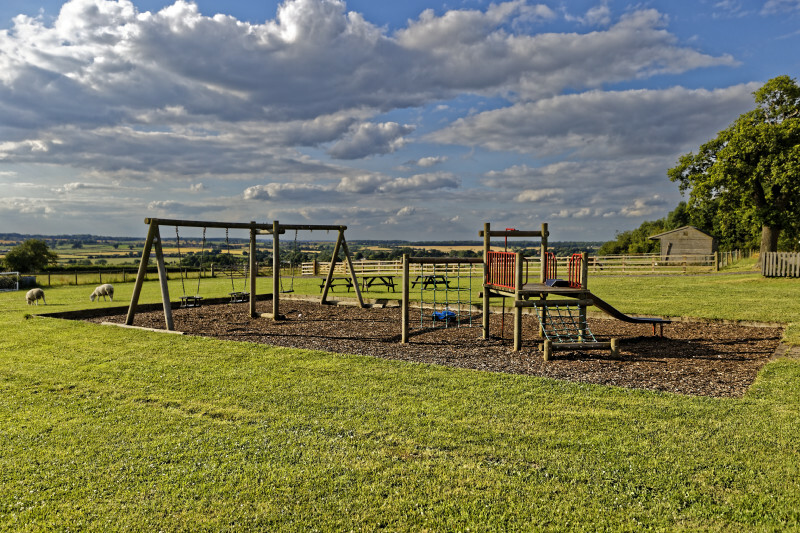 Acres of fresh air, a play area, Shetland ponies, lovely cafe, farm shop and walks through the fields down to The Red Lion. 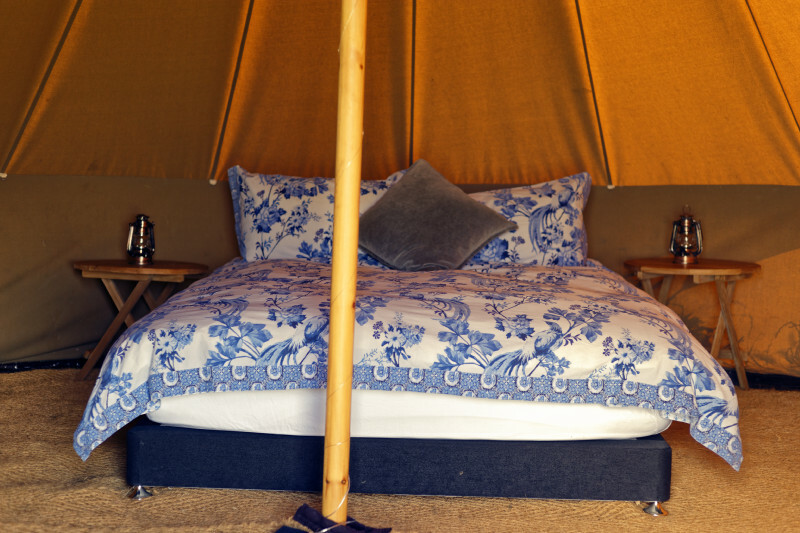 Family-friendly dogs are welcome and allowed inside the bell tents but not cabins. They must be kept on a lead at all time when on the site and farm. Another really thoughtful touch is the newly-built communal BBQ area. Honestly, as camping goes, this could not have been any easier. I can’t recommend the glamping experience enough. 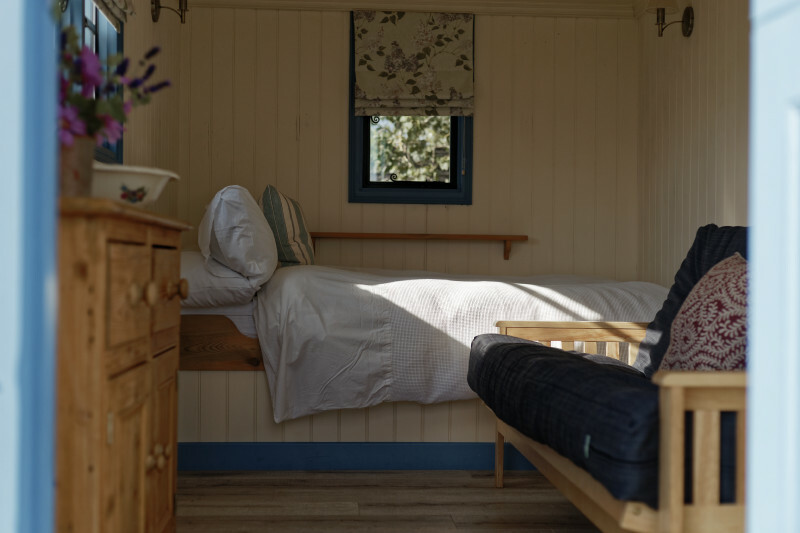 Inside our very own bespoke home-from-home shepherd’s hut is a wooden storage cupboard, a drop-down table, futon and luxury double cabin bed with towels, electricity and lighting. Thoughtful touches include a vase of fresh cut summer flowers and two bright yellow deckchairs. Outside is a family-size bench table and seats (candles optional). The kids were in a large bell-tent – the girls shared a King-size; while our son was on a camp-bed. They each had a bed-site table with a lantern and fairy lights lit up the central pole but no electricity. It was all rather pretty. 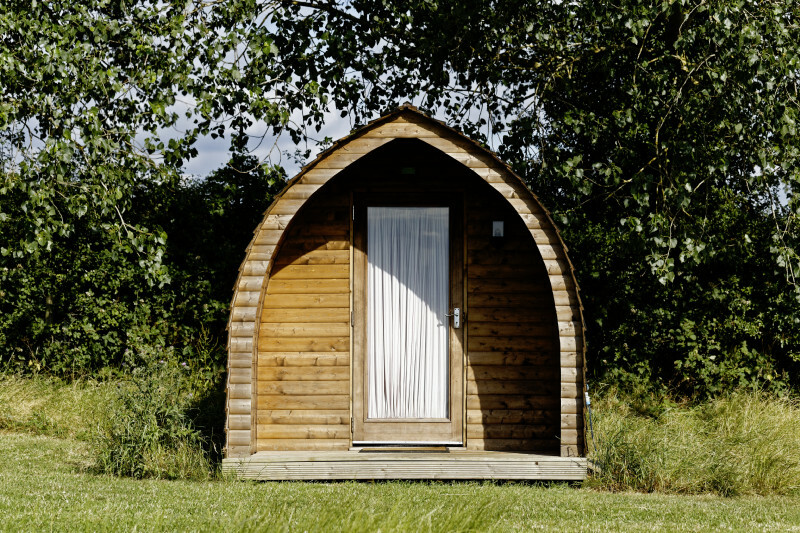 There are 3 wooden cabins hand-made in the UK and fully insulated with electricity and lighting. The Cabin Superior sleeps 4 with a double-bed and 2 camp-beds (good for children), linen & towels, private porch, bedside lamp and deck chairs. The Cabin Classic sleeps 2. There is a minimum 2 nights stay in all. 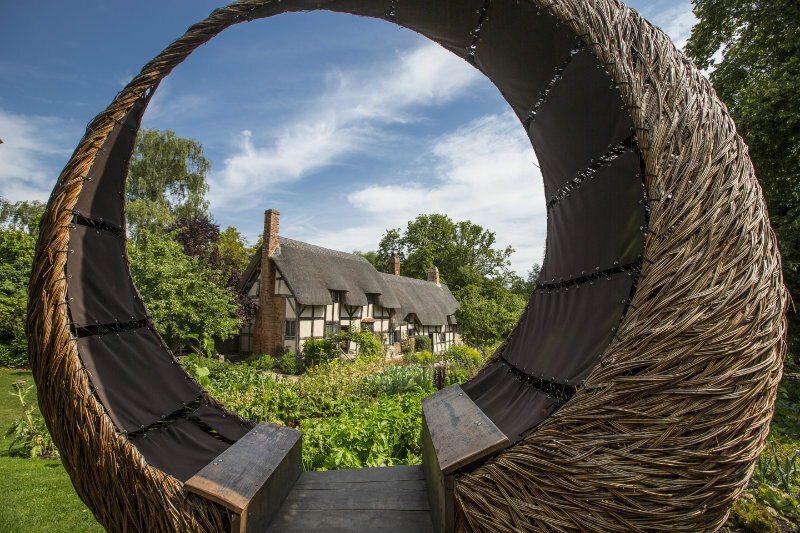 Anne Hathaway’s Cottage, Shottery, Stratford-upon-Avon, where Shakespeare’s wife grew up. Should you want to get out and explore you’re in a great spot. You’re just 3 miles outside the lively artsy Regency town of Leamington Spa with riverside park, Jephson Gardens, The Royal Pump Rooms, Leamington Art Gallery & Museum, lots of great indie shops and foodie places including Muddy Award winner cafe Coffee Architects and Best Bar The Drawing Board. 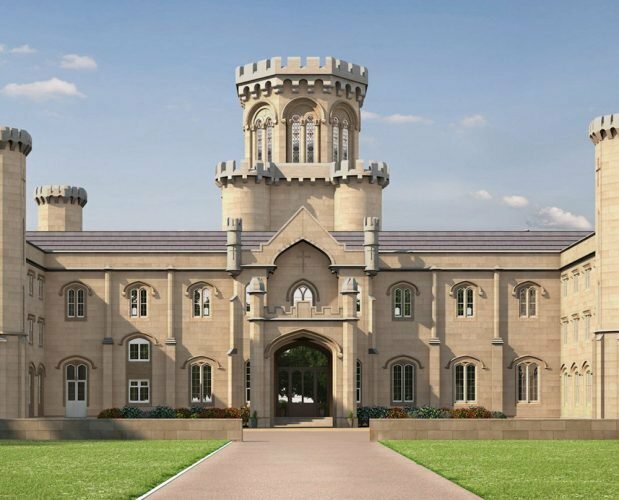 Warwick is a 10 minute drive away with its famous Castle, plus two more Muddy award-winners Hatton Adventure World and stunning Compton Verney Art Gallery & Park nearby. 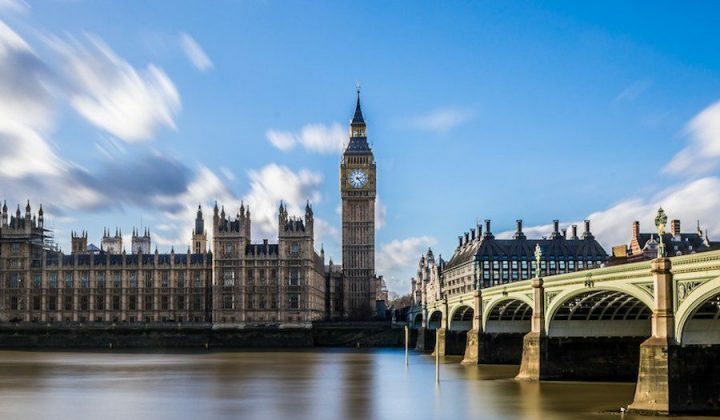 You’re also 25 minutes from Stratford-upon-Avon with attractions including the fabulous RSC , beautiful Shakespeare’s Family Homes, Gardens and Schoolroom, and just 30 minutes from Alcester, Shipston-on-Stour & The Cotswolds. Good for: Those looking to escape it all for complete peace and quiet. It’s very restorative. You’re on a working farm with farm animals, chickens and a super-friendly sheep dog. The cafe is open from 9am until late on Fridays and Saturdays with frequent live entertainment. Not for: If you like nightlife on your doorstep, this site’s probably not for you. A glass of wine under the stars to the sound of sheep baa-ing is more the sort of evening you can look forward to or a walk to the village pub through the farm fields. Although there isn’t Wi-Fi there’s reasonable reception. Camp fires or fire pits are not permitted. 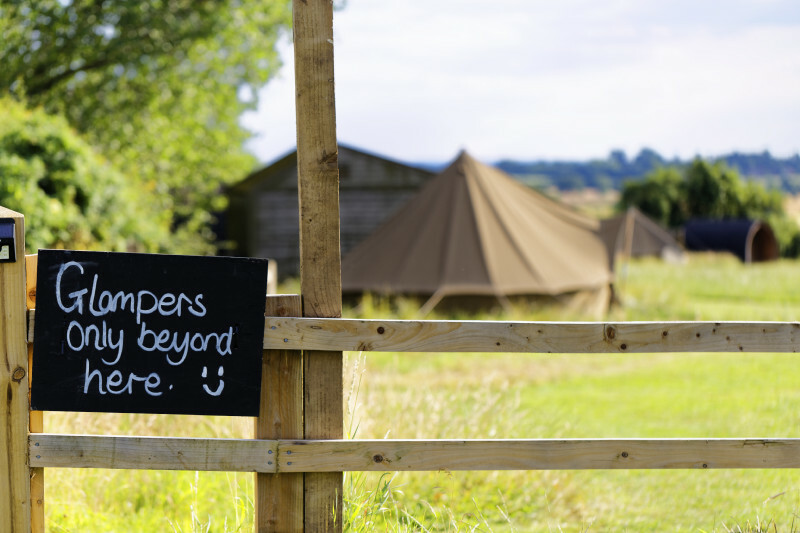 ££: £70 a night for Bell Tents (sleep 4); £70 for Cabin Classic (sleeps 2) & £85 for Cabin Superior (sleeps 4); £100 a night for the Shepherd’s Hut (sleeping 4). Minimum 2 nights stay. 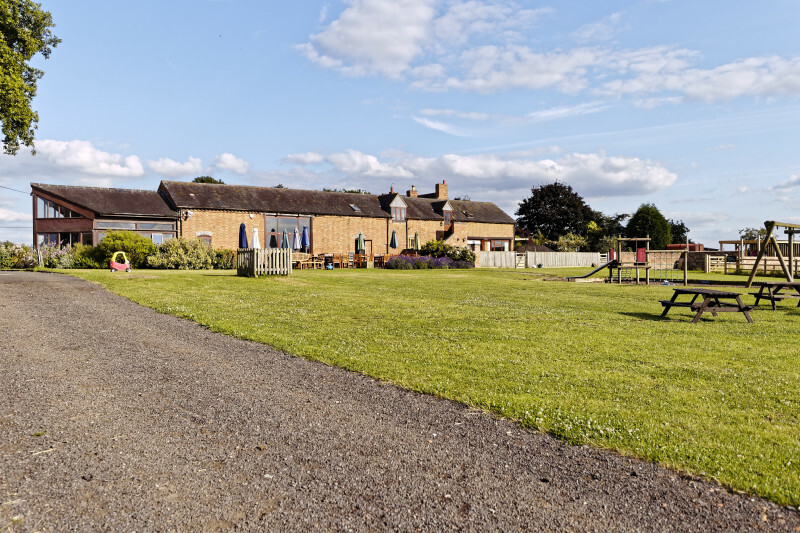 Hilltop Hideaways, Hilltop Farm, Fosse Way, Hunningham Hill, Leamington Spa, Warwickshire, CV33 9EL, hilltophideaways.com For all booking enquiries call 07966 797474. RE: FAQ’s: DO YOU ALLOW DOGS ON SITE? 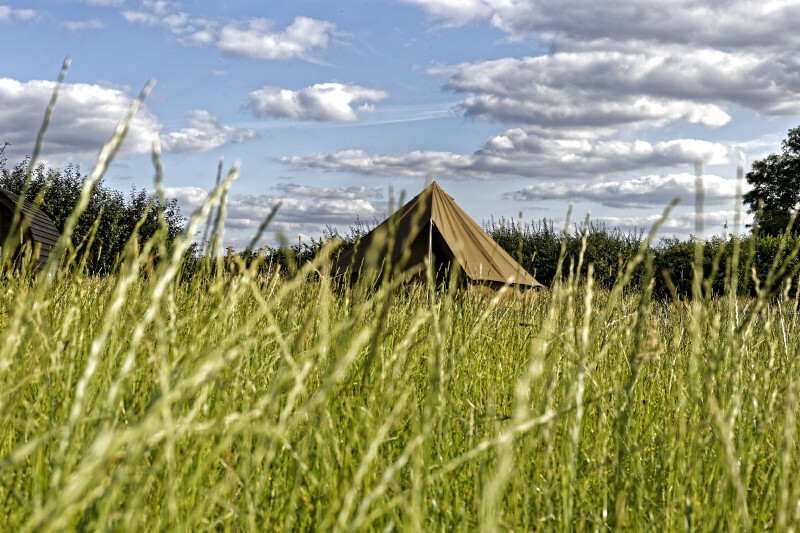 Yes, we do allow dogs on site and they are allowed inside bell tents but not cabins or the shepherds hut (so please consider this when booking). 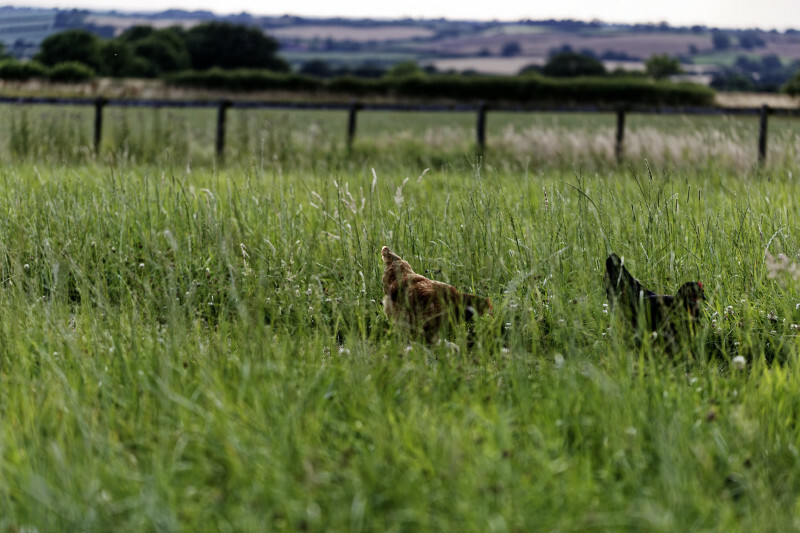 Dogs must be family friendly and they must be kept on a lead at all times when they are on the site and also on the farm.